ARTCRAWL! Second Friday of every month! FREE PUBLIC EVENT! See you downtown at Isaac Taylor Garden and Greater Good Gallery on Nov. 8 and Dec. 13, 2013. Greater Good Gallery will showcase artwork by more than sixty artists! 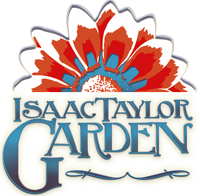 The Isaac Taylor Garden will be brimming with artists and performers who will be demonstrating their talents from 5 to 8pm. FIVE Thursday Evenings in OKTober, Enjoy Live Music, Beer & Wine, and Food by David Cook, The CookMaster's BBQ Sandwiches & Hot Wings. $5 cover charge, Gate opens at 6pm. R.A. Jeffreys is participating! Jack FM will be on-site! Sponsored by MJ's Raw Bar, Viamark Advertising, BearTowneTents.com, Freedom Ford Havelock, New Bern Now and Greater Good Gallery. Fundraiser to benefit "Arts to End Genocide" in Isaac Taylor Garden on Friday, October 25. More info and purchase Tickets. Ghostwalk in Greater Good Gallery on Friday, October 25 and Saturday, October 26. More info. Cirque du Beaux Arts - The origins of the Beaux Arts Ball traceback to the 19th century. The Architecture community of the Ecole des Beaux Arts hosted the very first ball. This ball’s theme asked for creativity and imagination beyond the scope of tamed human minds. Such wild and taboo activity opened doors for future generations. Almost two hundred years later the celebration continues here in beautiful New Bern. This party takes place at the wonderful Isaac Taylor Garden. Costumes are optional but there will be a costume competition with prizes, along with food by Anne. Picturesque outdoor setting capable of holding as many as 200 guests, the .6 acre estate is tucked aside the Isaac Taylor House built in 1792. The vista begins with a passage through ornate wrought iron gates, over 1910 brick patio encased by brick walls, into an Opulent Garden with Southern foliage.